à la recherche d'une formation en français? 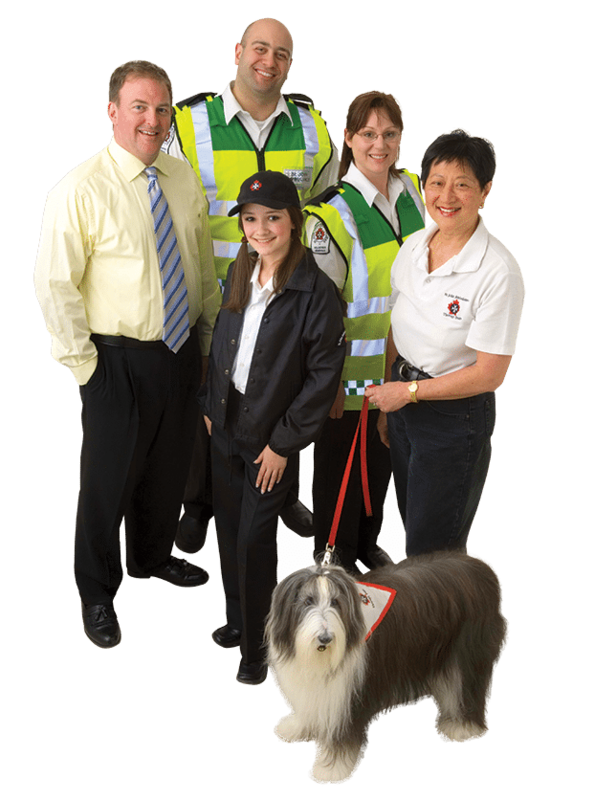 Industry-leading first aid training online, from anywhere, at anytime. Download our 2019 course calendar today! The Standard First Aid Blended Certification program provides learners the option to reduce their in-class learning time from two days to one. We provide nationally recognized training programs developed in accordance with Canadian and international guidelines. We provide first aid and CPR training designed to prepare pre-hospital and health care professionals for the challenges ahead. Targeted programs are available for aviation, marine, mining, forestry, oil and gas and law enforcement environments. St. John Ambulance First Aid and CPR courses are Canada’s most comprehensive, state-of-the-art training programs for business, individuals and communities. Choosing a St. John Ambulance first aid and CPR course will give you life-saving skills and support communities across Alberta. Proceeds from our first aid courses and training support services for seniors, youth, the community and so much more. St. John Ambulance is proud to deliver reliable and sustainable community services in accordance with our organization’s mission. These services are provided by trained volunteers who recognize and respond to community-based health and safety needs. Proceeds from our training programs support services for seniors, youth, and the community. We have seven locations across Alberta to serve your needs as well as the ability to book private courses at your location for groups of 7 or more. © 2019 St. John Ambulance - Alberta.